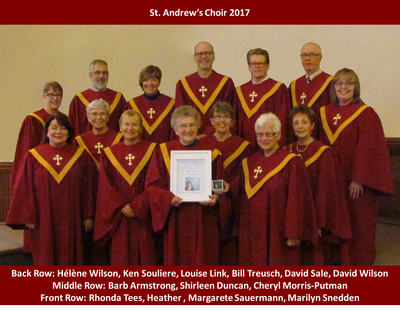 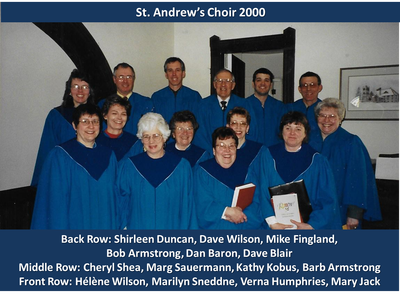 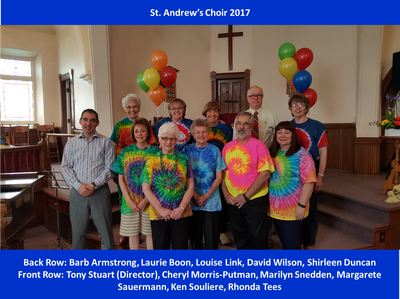 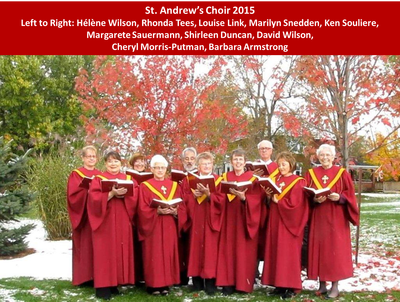 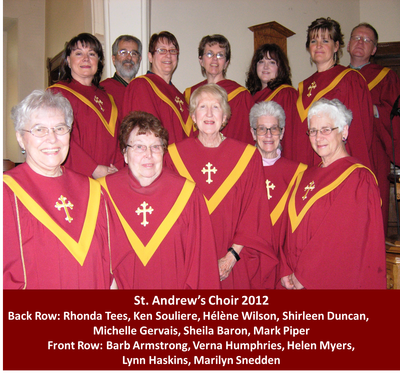 St. Andrew's and its choir are sending prayers and fond wishes to Tony for a full and speedy recovery. Sunday mornings at 10:15 am and Thursday evenings at 7 pm. Barring special circumstances rehearsals will finish no later than 8:30 pm. 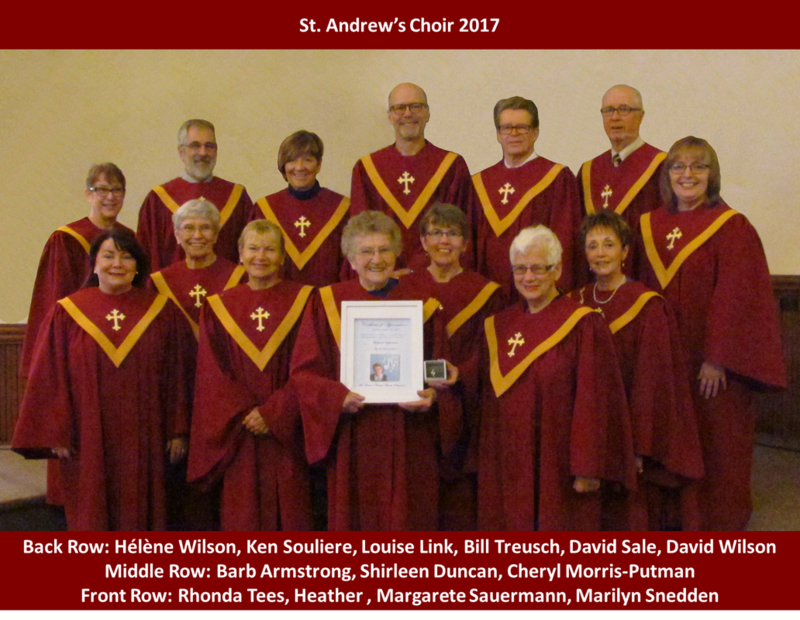 The choir is off during July and August except for the cemetery service. 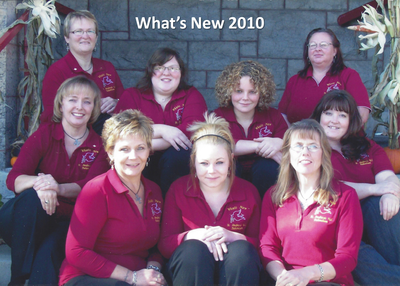 - we welcome anyone and everyone over the age of 16. 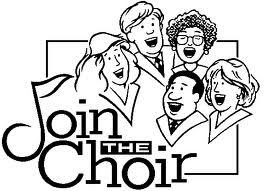 We practice on Sunday mornings at 10:15 a.m. and Thursday nights from 7 - 8:30 p.m.